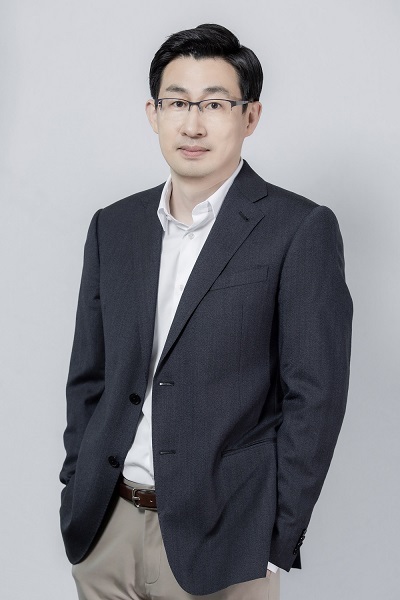 TOKYO – March 28, 2019 – LINE Corporation announces that Jungho Shin, the Chief WOW Officer (CWO) of LINE Corporation ("LINE"), has been appointed Co-CEO and Chief WOW Officer. Taking effect from April 1, the decision was made during the company's board meeting today. As a result, LINE will now have two representative directors: Takeshi Idezawa, the CEO and President, and Jungho Shin, the Co-CEO and Chief WOW Officer. Under its corporate mission of "Closing the Distance", LINE begins its second growth phase this year as it carves into new business domains such as FinTech, AI, and blockchain. In February, the company appointed Shin as Chief WOW Officer* after resolving to commit even further to its pursuit of "Service-Driven" and "WOW"-inducing services in this next phase of development. "Service-Driven" describes LINE's founding philosophy, which maintains that service competitiveness capable of eclipsing the competition is essential for a business to grow. "WOW" is a word that sums up the company's core value of delivering an unprecedented user experience or a piece of front-page news. Up until now, LINE has taken on a wide array of challenges. Shin's new appointment as Co-CEO comes as the company moves towards its next stage beyond Asia. Uncompromising in his service-driven mindset and pursuit of "wow", Shin has been behind the creation of countless services—including the globally popular LINE messaging app—and has continually spearheaded the company's growth abroad. As a representative director, Shin will now commit to bolstering the competitiveness of LINE's services and promoting innovation—assuming a clear responsibility towards creating groundbreaking services and the company's operations. CEO and President, Takeshi Idezawa, will focus on the management side, as well as revenue, organizational structure, human resources, and recruitment to create the best possible environment for the LINE Group. By having Idezawa and Shin commit to their respective areas of expertise under this new structure, the aim is to strengthen and enhance LINE's management structure, enable nimbler decision-making, and deliver world-class services that will accelerate LINE's growth beyond Asia and into a global company. July 1999　 Joined OZ Technology Inc.